How did the idea for This is Not Forgiveness come about? What type of research did you have to do to give the story its real sense of authenticity? As the book is set now, rather than in the past, there was not as much research to do as there would be for a historical novel. Rather, it is a different kind of research, into characters, their potential lives, place and setting. I always like to set my books in real places. I will visit different locations, make notes, take photographs, then change and twist them into what I want them to be like in the book. As for the characters, I think about who they are, what their lives would be like, what interests them, makes them tick, what kind of music they might listen to (see below) then I have to make sure I know enough about them to make them real. 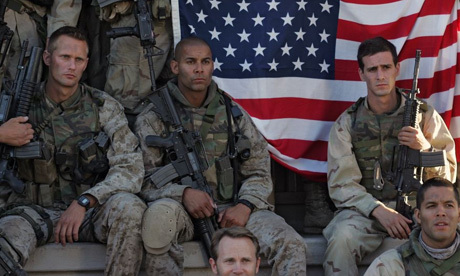 One of the characters in This Is Not Forgiveness, Rob, is a soldier, a sniper, who has been wounded in Afghanistan, so I had to find out about the Army, life on active duty, sniping, weaponry, Post Traumatic Stress Disorder, and so on. The other characters are more ‘normal’ in a sense, although one of them Caro, is interested in radical politics, so I had to discover her obsessions. As for what she gets involved with, all I had to do was follow that on the news. There’s some really tough and difficult issues tackled in This Is Not Forgiveness ranging from political beliefs to the damage of war, both the physical and mental injuries. Did you start writing the book wanting to write about the issues or did the characters come first and the issues were an off shoot of these three people? I did not start writing the book with these issues in mind. They grew from the characters. The book has changed a great deal from my initial concept. In the first version, the two boys were friends but they kept sliding into one another and there was no tension, so I made them brothers, one older than the other. I wanted even more differentiation, so I made the older brother, Rob, a soldier. I began to think about what could have happened to him, which took me into the experience and effects of war. This gave the whole story real edge and made it come alive. Similarly with the girl, Caro, I needed her to be very different, unconventional and unusual. Her interest in radical politics provided that difference and then I began to think, what could happen if Rob and Caro really got together? Ironically, when I first started to think about this book, Caro’s obsessions seemed deeply unfashionable, then suddenly the London streets were full of marching students, people trashing police cars and lobbing bins at Prince Charles’ car. Since then, we’ve had riots and the Occupy movement with tents outside St Paul’s. The book seemed to get more and more prescient as time went on. The 3 characters are really strong and bold to read; was there one of the 3 that you found easier or harder to write? Whose voice was the most challenging to write? I have to confess to owing a debt to Patrick Ness for making me think about writing in different voices. Once I knew the characters and could get into their heads, I didn’t find it hard at all. Jamie’s voice carries the story, the other two provide a kind of commentary, an insight into what they are thinking and feeling, as well as adding details that Jamie can’t know. I found discovering the different voices and weaving them together hugely enjoyable. I found the character of Rob to be both disturbing to read and heartbreaking all at once. Did you base his experiences on real life soldiers’ stories or video blogs? I read a lot of accounts of soldiers’ experiences of combat, not just in Iraq and Afghanistan, but other wars, too, like Vietnam. The effect war has on those fighting doesn’t change. I also watched films, like Kathryn Bigelow’s The Hurt Locker, TV series, like Generation Kill and watched amateur video footage on line posted by the soldiers themselves. The title for this book is really gripping and memorable; what made you decide on This is Not Forgiveness as the final title? Titles are strange. They are either there straight away, or they are not and you just have to wait for the right title to suggest itself. This book didn’t have a proper title for a long time, for a while it was just called New Book, then my editor at Bloomsbury, Sarah Odedina, suggest we use the first part of a line from the book: …this is not forgiveness. Don’t think that. So the title became This Is Not Forgiveness and that felt right as if it had always been called that. I think a lot of readers will know you for historical fiction books like Witch Child. What made you decide to write a contemporary story? I’m always driven by the idea, and the idea for this book was specifically contemporary. With my historical fiction, what interests me is how historical events impact on my characters, whether it is witch persecution in the mid 17th Century (Witch Child and Sorceress), the slave trade and the rise of piracy (Pirates! ), the French Revolution (Sovay), or the vulnerability of small Mediterranean states and the fear of Catholic plots in the England of Elizabeth 1st (The Fool’s Girl). We live in interesting times: war, terrorism, social unrest and random acts of inexplicable violence. I thought it would be interesting to look at my characters in the light of what is happening in the wider world around them. I also did it to prove to myself that I could still write a contemporary fiction. My first books were gritty, contemporary thrillers for teenagers. So, in a way, I’ve come full circle. Followers of my blog know that I’m a big music fan as well as book-o-holic. This Is Not Forgiveness mentions music and that Jamie likes, bands such as Smiths and The Vaccines. Were there any other bands or musical influences for this book or certain music you feel the characters would relate to? 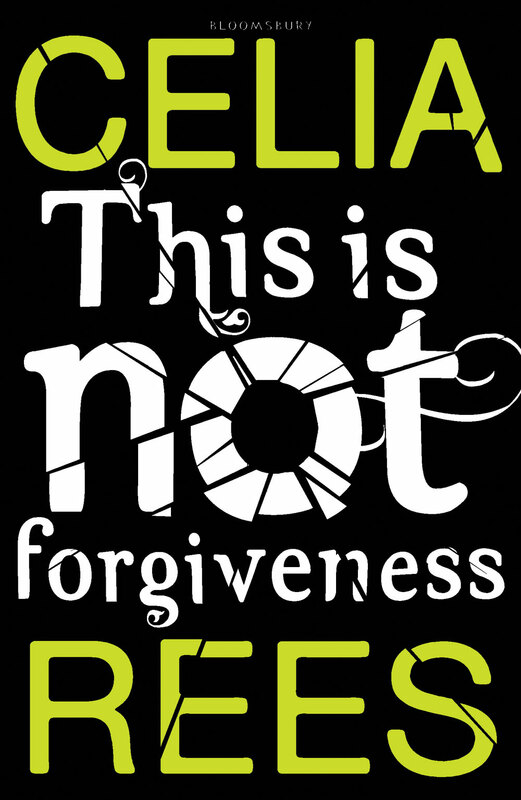 I have 1 SIGNED copy of This Is Not Forgiveness by Celia Rees. It’s a UK ONLY giveaway at the request of the Publisher and it will end Monday 6th. Celia, is definitely right. We do live in interesting times and we tend to forget the history that is being created around us, as often it is too painful to think about. I can't wait to get started on this one – next on my list. This is such an interesting interview. I have this book waiting to read, I'm really looking forward to it. Thanks for the giveaway! I used to read Celia Rees' books years ago – I've no idea why I haven't read any since. Keeping my fingers crossed that I win this one, but if I don't, I'm off to get a copy ASAP. Sounds really interesting.